It’s your mobile theater on the go. 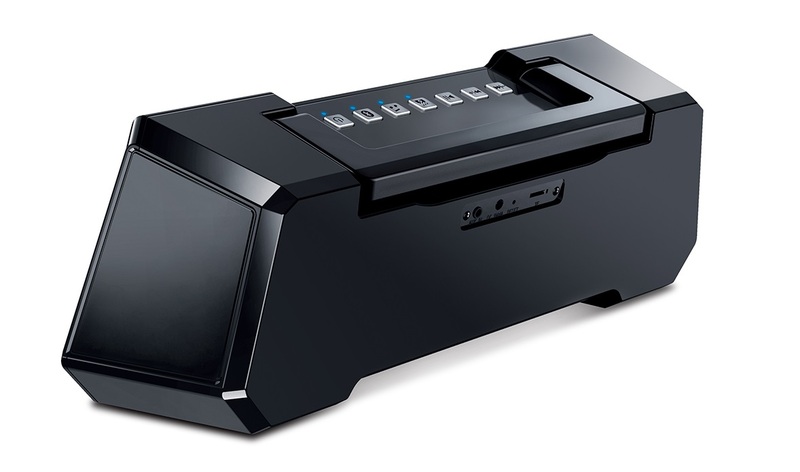 The newest addition to the broad line-up of computer and mobile peripherals from Genius, the MT-20 Mobile Theater speaker, is now finally available in the Philippines. It’s your surround-sound theater-like speaker that delivers deep immersive bass with optimal precision. Immerse yourself in the experience of powerful surround audio even in outdoors. Enjoy the feel of a life-like movie theater experience the MT-20 brings. Without the need to recharge, you can enjoy the theater surround sound when watching up to 5 to 6 movies – that’s 10 hours of continuous movie playing for you and the family. Or unlimited party music for your summer escapades with friends. Enjoy the continuous entertainment with a fully-charged MT-20. MT-20 offers two single buttons for you to choose between: Music or Cinema Sound mode. Whether you are at home, outside or wherever you might be, the MT-20 is equipped with Bluetooth for easy device pairing and toggling between tracks. It also supports a 3.5mm AUX connector and TF-Card reader so you can play your favourite songs without connecting to a mobile device. The MT-20 also comes in an ease-of-carry handle and offers multiple play connection options. Sporting the finest design and texture, it’s the elegant speaker you need, indoor or outdoor. The Genius MT-20 is available in black and silver and is retailed at Php3,995. For store availability, you may contact MSI-ECS, the exclusive distributor of Genius products in the Philippines, at 688-3512 or email marketing@msi-ecs.ph.